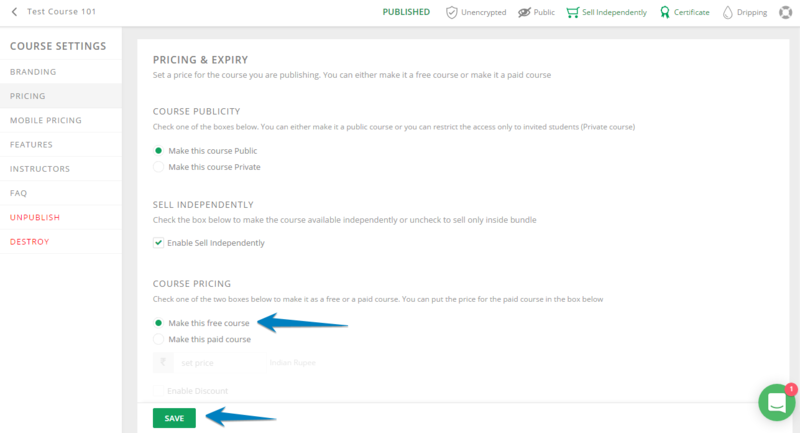 To make your paid course as a free course you can select the Free Course check box while creating the course. If you have already created a course and would like to make it a paid course go to Courses > Your course > Settings > Pricing. Select the Make This Free Course check box.